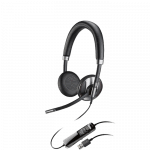 Computer Headset Comparison Guide - Headsets Direct, Inc. 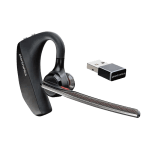 In our HEADSETS 101 series, we’ll cover in great detail everything you need to know about Plantronics computer headset for your PC and VoIP applications. 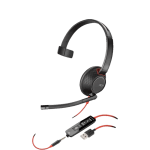 Plantronics has long been known as the leader of business headsets. As technology advances, more companies are moving to communicating over the internet, called VoIP (Voice over Internet Protocol). 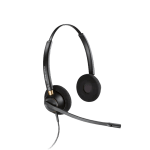 To help customers, we have put together a guide that will cover the following: Transitioning away from desk phones to computers, corded and wireless headset models, and specialty applications like Microsoft Lync. 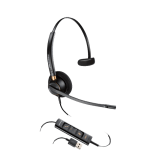 Most modern computer headsets simply plug into a USB port on your PC or laptop. 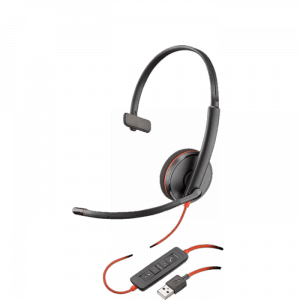 Once you plug a computer headset in, your PC will install the appropriate drivers and configure your system to use the headset as the default device for your speakers and microphone. 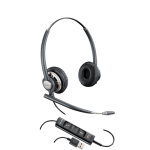 Your softphone will need to be installed and configured to your network in order to use your headset. Within the settings of your softphone, you will need to set the headset as your default audio device. 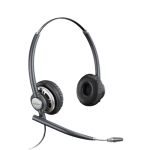 Older and more basic softphones will require you to click your mouse to accept calls where newer softphones allow you to simply press a button on the headset. This is known and Call Control. 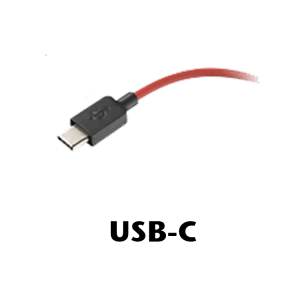 A new USB-C port recently hit the market which is being used in slimline laptops. This new connection works the same with drivers and is simple plug-n-play, while taking up much less vertical space. 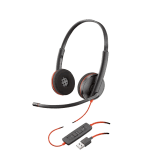 With Call Control, you have the benefit of pressing a button on your wireless headset or with the inline controls of corded headsets to take calls versus the need to use your mouse. Our Softphone Compatibility Guide will assist you in determining if your softphone is Call Control ready. 1) Will you ever need to train using a Y-cord and two headsets? 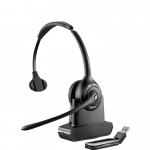 When using USB headsets, you can plug more than one headset into a PC, but only one is active at a time making training impossible. 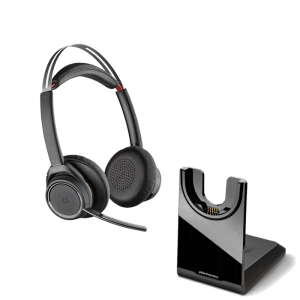 The solution is to use USB adapters with quick disconnect connections (Plantronics DA70, Plantronics DA80 or Plantronics DA90). 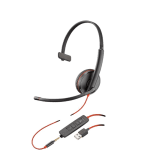 Paired with a Y-Cord and any Plantronics H-Series headsets will allow two users on one call, with one live microphone that you toggle to the headset user of your choice. 2) How important is sound quality? 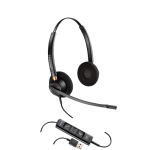 With low-end computer headsets, you will typically find the sound to be tinny and suspect durability will limit it’s longevity to 6-12 months before you dispose of it and re-purchase. 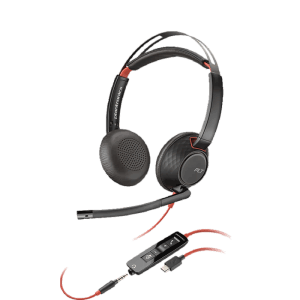 Business grade computer headset will have a natural, more balanced sound. They will also hold up for years of use before replacing. 3) Is extra comfort needed for extended wearing periods? 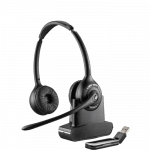 Business grade VoIP headsets will have a wide price range that relates to added foam, upgraded cushions enhancing over-all comfort. Foam cushion are less expensive and provide average comfort. When compared to leatherette cushions, which will cost more, you will notice a significant increase in comfort and durability. Select headset models will also pad the headband to provide an extra layer of comfort for heavy usage. 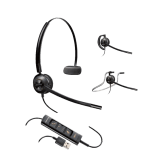 Many of the computer headsets have a standard model and an identical looking version, but optimized for Microsoft Lync software that’s integrated into the headset circuitry. 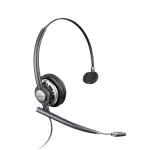 The -M version should only be used if you are using Microsoft Lync (Formerly called Communicator) as your softphone or VoIP solution. 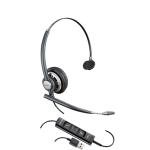 The -M gives you switchhook controls meaning you can initiate calls by pressing a button on the cord where the standard version requires keyboard, mouse clicking or Smart Sensor Technology to take calls. 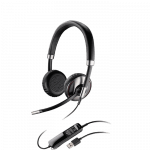 Call us to find out more about the -M Microsoft Lync headsets and models available. 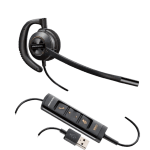 Newer Plantronics computer headsets provide Microsoft functionality within the standard model. We have provided, in simple terms, what the acronyms mean and how they benefit you. 900MHz technology = At one time the main band for voice communication. Since the introduction of DECT, now it’s underused in medium to large offices. 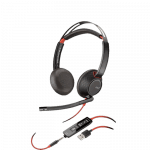 Its lower frequency range allows for greater concentration of headsets in a given area. A2DP = Advanced Audio Distribution Profile lets you listen to music through your Bluetooth headset when connected to your mobile phone or MP3 player. 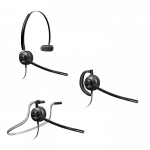 Binaural Headset = Term used for headset that covers both ears. 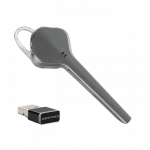 Bluetooth = An open wireless protocol for exchanging data over short distances, using wave radio technology over the 2.4GHz band, from fixed or mobile devices. CAT-iq = Advanced wideband audio technology enables the user to have clearer and richer sounding conversations. 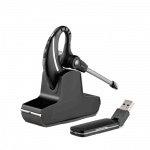 DECT = (Digital Enhanced Cordless Telecommunications) Working through the 1.9GHz band, this voice dedicated wireless frequency virtually eliminates interference from other wireless devices and allows connectivity up to 350 feet. 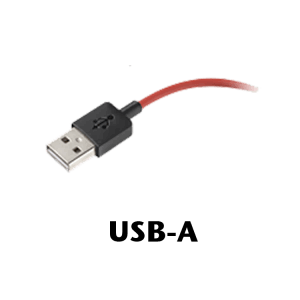 Dongle = Common name used to designate any of the USB adapters that connect wireless or Bluetooth devices to a PC or laptop. DSP = Digital Signal Processing provides natural voice sound. Dynamic EQ = Automatically adjusts audio settings between voice calls and music. 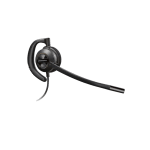 EHS cable = Electronic Hook Switch cable allows for remote answer / end of calls on your wireless headset. Used on selected phones and replaces the HL10. 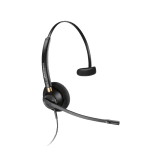 Inline controls = Found in most corded computer and cordless phone headsets, these controls allow you to adjust volume, mute your microphone and answer/end calls. Microsoft Lync = Formerly called Microsoft Office Communicator, it is an instant messaging client used with Microsoft Lync. 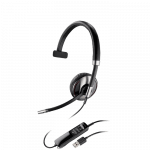 Monaural Headset = Term used for headset that covers one ear. 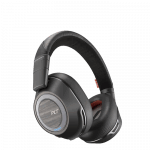 Noise-canceling = Feature found in all wireless and most corded headsets that reduces 75-80% of the ambient noise a caller may hear in a conversation, rendering the remaining percentage unintelligible. QD = Quick Disconnect, located at the end of cables for easy separation between headset and amplifier or direct connect cable. RJ9 = Also known by RJ22, this is the modular connector size commonly used in telephone handset cords and headset amplifiers, both corded and wireless. Server and Lync online = Some features include instant messaging and video conferencing. Skype = One of several online services available for VoIP telephony, eliminating the need for a landline phone. Skype was one of the first to embrace the PC for use as a telephone. Smart Sensors = Smart Sensor technology lets you answer a call by simply putting on the headset. 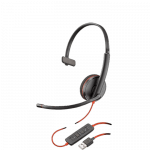 SoundGuard = Using a sophisticated 3-stage process, this technology is designed to detect and eliminate any large sudden increases in headset sound levels. 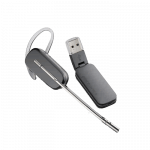 USB = Universal Serial Bus, computer jack that allows for attachments of external devices with similar connections, such as Plantronics Blackwire C510. Wideband = Gives you a clearer, more natural sound to your voice.